This is the shortest day of the year in the northern hemisphere. Technically, our winter solstice occurs when the sun’s position in the sky is at its greatest angular distance on the other side of the equitorial plane from the northern hemisphere. The exact moment occurs sometime between December 21 and December 22 each year, depending on the shift of the calendar. And although it lasts only an instant, we generally refer to the entire day on which it occurs as the solstice. In 2009 the exact time is 5:47p.m. 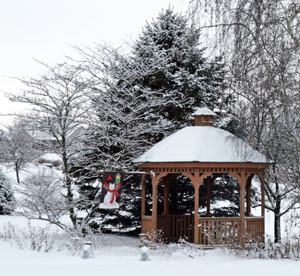 GMT on Dec 21, which means the solstice will officially occur at 11:57 a.m. in Wisconsin. The solstice often is said to mark the beginning or middle of winter, but “winter” is a subjective term – it sure has felt like winter around here for a while! This is the longest night of the year, and now there will be an imperceptible lengthening of the day for a while before it starts staying light noticeably later in the day. But that doesn’t correlate with temperatures. Our coldest weather is typically well after days have become noticeably longer. So why would gardeners care about the winter solstice, when normally we’re buried deep in snow, with a lot more winter to come? Plants living in climates where major temperature changes occur, especially those with very cold winters or very hot, dry summers, need to know when the seasons will change, and to be able to prepare for the anticipated environmental change well before it actually happens. Many plants and animals use an internal circadian clock to time certain biochemical, physiological, and behavioral activities. Changes in daylength are an important environmental cue for many plants and some animals to determine when to initiate development, reproduction, migration, and diapause, and this is the pivot point in the cycle of changing daylengths. Although the slight changes that are occurring at this time of year really don’t impact plant growth immediately, there are times when the changes in the length of the day signals certain plants to shift from vegetative growth (foliage) to reproductive growth (flowers and seeds). Plants have pigment cells called phytochromes that measure the amount of light being absorbed, specifically the red end of the spectrum, so they can determine what the daylength is. The effect of seasonal changes in the length of light and darkness in a 24-hour period on plants is called photoperiodism. These effects on many plants (and some birds, insects and mammals, too) was described in the early 1900s. USDA scientists developed a tobacco cultivar ‘Maryland Mammoth’ that didn’t flower in summer like normal tobacco plants do. Through experiments with artificial lighting in winter and artificial darkening in the summer they found that the relative amount of light to darkness in a day affected this plant’s flowering cycle. Because it only flowered when exposed to short days that naturally occur later in the year, they called it a short-day plant. Short day plants bloom in either spring or fall. Some short-day plants that bloom in fall and winter include chrysanthemums, poinsettias, Christmas cactus and certain kalanchoes. 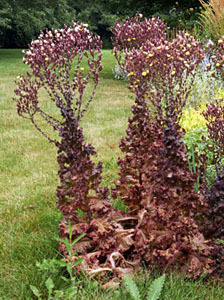 Other plants, such as spinach, lettuce and radish, are long-day plants and flower when exposed to long days and short nights – in the summer. So early planted lettuce or spinach cannot be maintained for cutting as it naturally will go to seed as the summer progresses. Other plants have mixed requirements, for example, needing long days followed by short days to flower, or their flowering isn’t regulated by photoperiod at all. 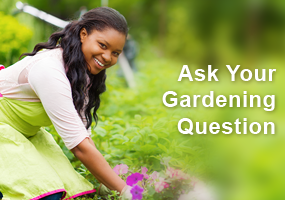 Day-neutral plants, including many annuals and vegetables, generally just need to reach a certain size or maturity to flower. Photoperiod is most pronounced at high latitudes, so temperate plants are more likely to use this cue than are tropical plants that developed in areas where photoperiod barely changes throughout the year. When the phenomenon of photoperiodism was first discovered, scientists didn’t realize that the important part was actually the amount of darkness (that was discovered later), not the length of the day. But the terms relating to day length stuck, so those short-day plants are really responding to the long nights, while long-day plants are triggered by short nights. Interruption of the required darkness period will interfere with blooming. This is why it is difficult to get poinsettias to rebloom indoors where artificial light extends the night – unless the plants are kept in an area that remains dark at night they can’t produce flowers. 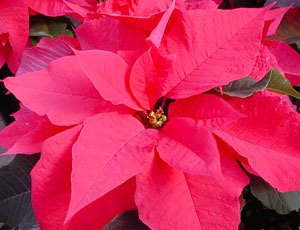 Since photoperiod exerts such profound effects on the growth and flowering of many plant species, it has to be manipulated for several greenhouse crops, including poinsettia, to be able to produce them on schedule and particularly out of season. Leaves change color as photoperiod decreases and green cholorophyll is lost. Plants also use photoperiod to begin preparing for a long, cold weather by producing sugars and amino acids which act as antifreeze to prevent or minimize damage from cold and moving nutrients to the roots as nights lengthen in fall. As photoperiod decreases, the plant’s ability to produce chlorophyll decreases, and as the existing chlorophyll – which creates the green color of leaves – is degraded and not replaced, the underlying yellow and orange carotinoids and xanthophylls, always present within the leaf, begin to show. Other chemicals, particularly anthocyanins, are then produced that create red and purple colors. 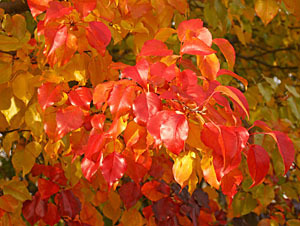 So the leaves turn color and drop in autumn, well before severe weather arrives. There is individual variation in response to photoperiod, and color change isn’t due entirely to the amount of light. In the forests of eastern North America, most trees that change color in the autumn are responding to photoperiod, but in other places temperature or rainfall is more important. 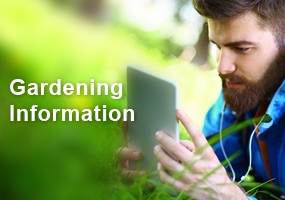 Some plants can also perceive the shortening of nights in the spring and get a jump start on the season. Some insects use photoperiod in a similar way to regulate diapause, a type of dormancy that involves a shutdown of the neuroendocrine system and usually lasts for many weeks. This allows the insects to avoid harsh conditions (cold winter or hot, dry summer), but they must enter into diapause before the conditions actually occur. Shortening days induce insects to go into diapause for the winter, but after a while photoperiod has less of an influence and temperature makes more of a difference. Diapause ends after a certain length of time – often around the winter solstice – and then the insects come out of dormancy in response to warm enough temperatures not the amount of light. 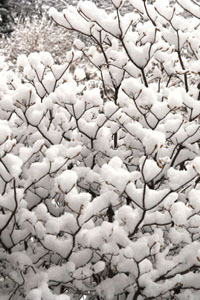 Another environmental cue for certain perennial plants is cold accumulation units. 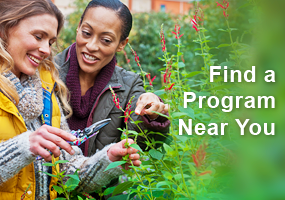 These plants are able to “measure” how much cold they have experienced to determine when they should begin growth or initiate flower bud formation – long before conditions are appropriate for actual growth or blooming. This is why peonies and tulips will not bloom in warm climates unless they are artificially chilled.